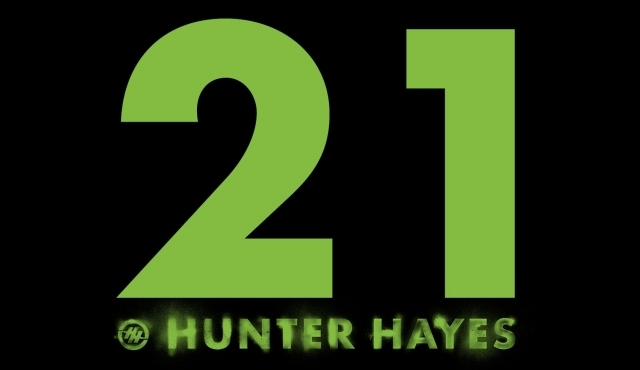 Hunter Hayes Releases New Single "21"
On Saturday the 17th Hunter Hayes' website and social media went dark. 21 black boxes, posted at 12:01AM Sunday morning, left millions of fans online asking questions. Blake Shelton came out of 2016 with the best-selling country album release of the year in the Gold-certified Came Here To Forget and jumped right into 2017 with the record’s latest smash hit “A Guy With A Girl” hitting No. 1 on the Billboard Country Airplay Chart. "I've been in this business long enough to know that a number one single should be celebrated and never taken for granted,” Shelton said. “I'm just as excited about ‘Guy With A Girl’ going No. 1 as I was ‘Austin.’ The first thing I did when I found out today was call my mom, just like I did with my first and every No. 1. So, as always, thanks to country radio and especially the fans for this." With his 23rd chart-topping song and an already busy first few weeks of 2017, Shelton shows no signs of slowing down as he prepares to kick off his “Doing It To Country Songs” tour in Bakersfield, CA on February 16. Last week the Platinum-selling superstar revealed the addition of Voice season 11 champion Sundance Head to the run, where they will be joined by season 2 contestant, label-mate and Pandora’s 2017 “Ones To Watch” artist RaeLynn. The five-time Voice-winning coach has begun production on the upcoming season and also recently announced his latest endeavor in association with Ryman Hospitality – Ole Red, a new entertainment-themed bar and restaurant in Nashville. Warner Music Nashville was created in 2009 to expand the presence of WMG and its family of labels in Nashville. The division is home to Atlantic Records, Warner Bros. Records and Elektra Nashville. © Copyright 2017 Warner Music Nashville. All Rights Reserved.